For a country that produces absolutely no wine and is located almost 4,000 km from the nearest commercial wine-producing region, wine in Singapore is big business. We examine the wine scene in the Little Red Dot, and where it may go in the next few years. Everywhere you turn in Singapore, you’re likely to see a bottle of wine. Whether it’s in at a wine roadshow, on the table of a fine-dining restaurant, or on supermarket shelves, wine looks to have cemented itself as a choice tipple here. Much of it, of course, is due to the country’s burgeoning cosmopolitan F&B scene. Award-winning sommelier Gerald Lu, owner of wine bistro Praelum, feels there’s been a big surge in Singapore’s wine culture. “Many are going towards wine as a chosen beverage,” confirms Lu, who’s also president of the Sommelier Association of Singapore. 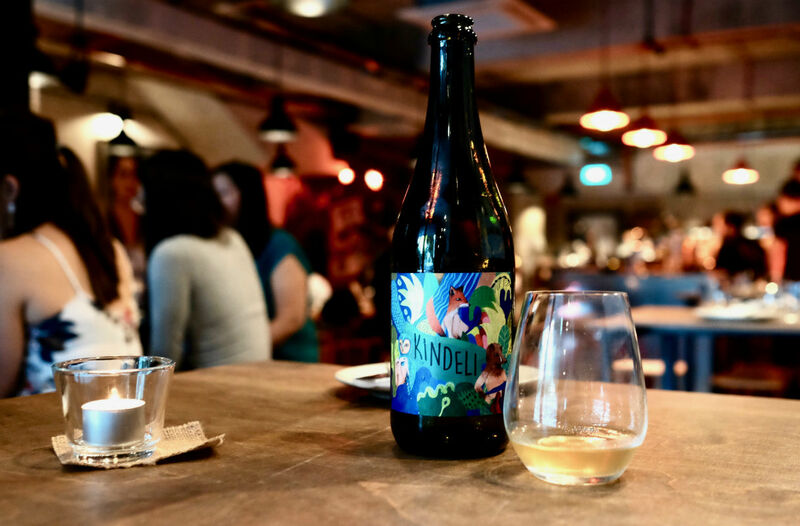 Growing consumption – and understanding – of wine in Singapore. Official numbers support such anecdotal evidence. According to data agency GlobalData, Singapore’s wine market was valued at over US$1 billion in 2016. That’s remarkable growth, considering the market value was US$550 million in 2012, and just US$187 million in 2008. It also forecasts that Singapore’s wine market will grow at a rate of 5.1% (CAGR) between now and 2021. That means reaching a market value of US$1.4 billion by 2021. Let’s put that in perspective. Average consumption of wine per capita in Singapore today is around 2 litres, just over two and a half bottles. By 2021, if GlobalData is right, that number will be almost four bottles. And it’s not just the drinking of it. 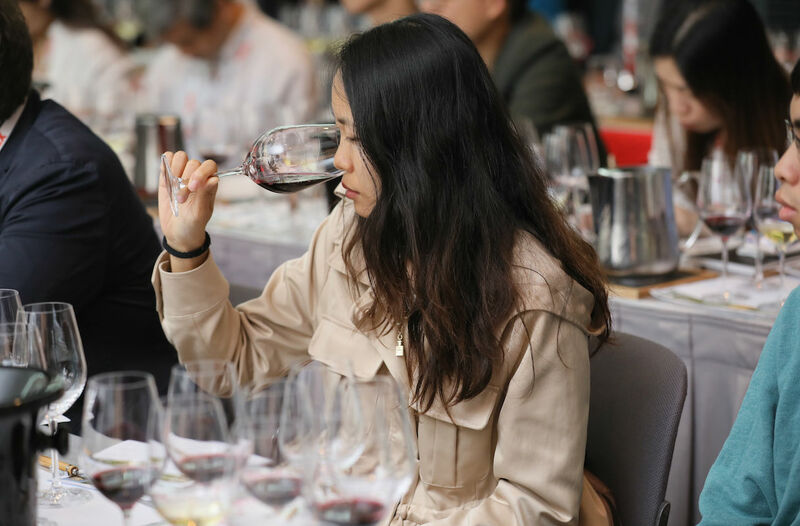 Lim Hwee Peng, an award-winning wine educator, shares that there’s an increase in the number of consumers wanting to educate themselves about wine. “There is definitely an increase in the number of (non-industry) people enrolling themselves in wine certification programs over the years,” says Lim, whose company WineCraft Marketing administers wine certification schemes such as the Certified Specialist of Wine (CSW) and French Wine Scholar (FWS) programs in Singapore. Singapore, a choice export market. One of the biggest factors driving growth could be the potential of the Singapore market in the eyes of those wishing to export to Singapore. In the recently released ProWein Business Report 2018, Singapore emerged as a top emerging market for wine exporters. More precisely, over a third of respondents (37%) see Singapore as the export destination with the most potential within the next five years. The study, conducted by the Institute for Wine and Beverage Business Research at Germany’s Geisenheim University as commissioned by international wine trade fair organiser ProWein, had polled more than 2,300 professionals in the wine industry from 46 countries including wine producers, importers and retailers. In fact Southeast Asia looks to be the blue ocean for many of these companies. Vietnam (5th, 21%), Thailand (7th, 15%), Malaysia (8th, 12%), Philippines (9th, 11%), and Indonesia (10th, 10%) are all represented in the top ten. According to the study, Singapore is considered to be the top emerging market of choice for Old World wine producers; effectively one of two producers from France (49%), Italy (51%), and Spain (45%) place Singapore as their emerging market of choice. While not as much as the Old World, 32% of New World producers see potential in Singapore as a market opportunity. “Singapore heads the list of new emerging wine markets mainly due to their smaller, easily governable, and easier to build up markets that are relatively stable and far developed in economic terms,” explains Geinsenheim University’s Prof. Dr. Simone Loose, who headed the study. This is especially seen by the number of trade delegations with wineries that have visited Singapore to explore market opportunities here. Italian wine, especially, made its presence felt in a big way here in Singapore over the last two years. 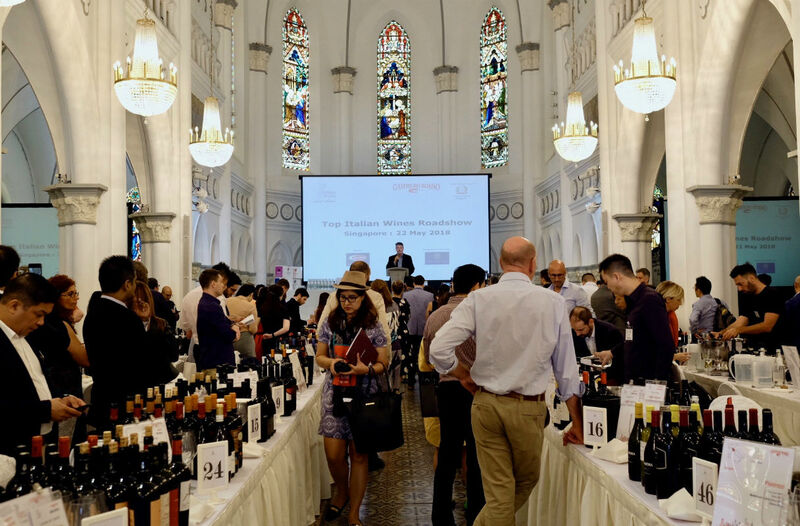 The Italian Trade Agency held its first-ever Singapore edition of Borsa Vini Italiani last year in November; the event brought together 29 wine producers from 11 different wine producing regions across Italy to showcase its viticultural diversity and complexity. Many of those wineries do not have a presence in the region. “Singaporeans’ interest and appreciation for Italian culture make them avid Italian wine lovers,” Leonardo Radicati, Director of the Italian Trade Agency in Singapore, shared then. Italian wine authority Gambero Rosso also held its flagship event here for the first time in early 2017. “Top Italian Wines Roadshow” featured over 60 Italian wineries in its inaugural edition. That number increased to 68 when it returned in 2018. 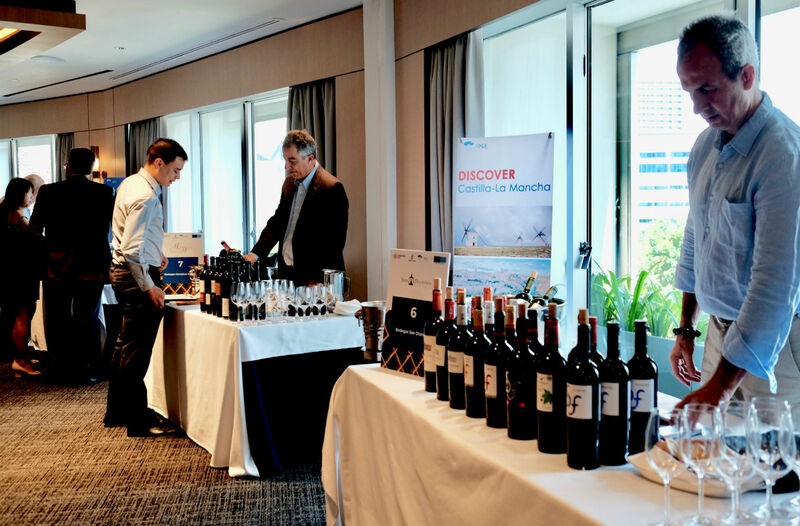 Similarly, a delegation of ten wineries from Spain’s Castilla-La Mancha made a trip organised by trade authority IPEX to Singapore in May 2017 to showcase their wares. In 2018, 16 wineries from the region again turned up to explore opportunities. Business France too, holds an annual trade tasting of French wines here. The most recent one last year saw 20 exhibitors from various French wine regions represent the Old World wine producer. A (Margaret) river of wine in Singapore. Possibly the most aggressive in growing Singapore as a wine market recently was Western Australia’s Margaret River wine region. Despite the fact that Singapore is already the region’s fourth largest market for wine exports – representing 10 percent of its total export value at a market value of over AUD$3.4 million – it continued to push market interest of its wines in a series of campaigns in Singapore in 2017 and 2018. “The Margaret River Wine Association celebrated 50 years since the first commercial vineyard plantings in our region in 2017. These celebrations included a series of events in Singapore with trade, key influencers and consumers,” Amanda Whiteland, CEO of Margaret River Wine Association, highlighted. 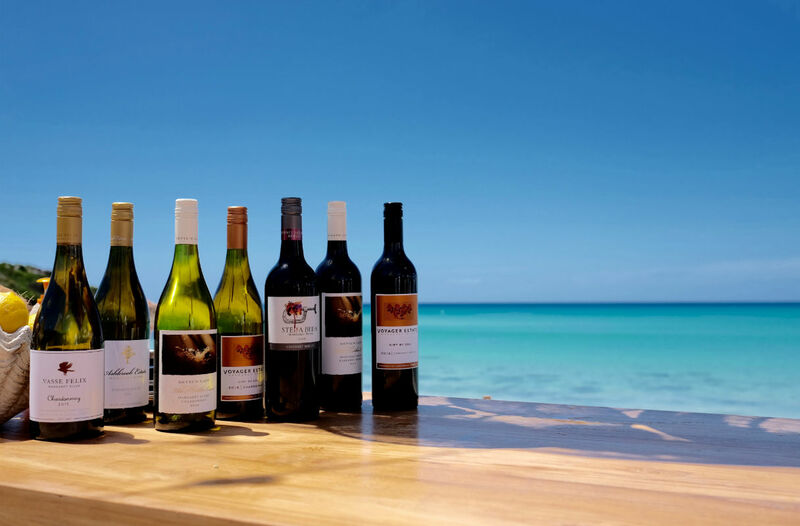 “Last year, in collaboration with the South West Development Commission, Margaret River Busselton Tourism Association and Australia’s South West, we created a week-long series of events promoting Margaret River wine and tourism,” she added. Today over 60 Margaret River wineries export to Singapore, but that number looks set to rise. In many cases too, wine producers reach out directly to Singapore-based wine importers and distributors. “We get many wineries asking us if we’re keen (to carry their wares),” shares Patricia Britton of Le Vigne Wines. They currently bring in brands like Woodlands Wines from Margaret River, Bourgogne’s Georges Deboeuf, and Rhone’s Pierre Amadieu. Likewise with Amy Seow, founder of Raison Wines. “We receive many offers for samples from French wineries, and also Italian, Spanish and South African wineries,” reveals Seow. The former lawyer founded Raison Wines in early 2018, and currently represent brands from France’s Rhone, Loire Valley, Alsace and Beaujolais regions. Singapore, a gateway to other wine markets in the region. One other reason for Singapore’s potential is the easy reach to other markets in Southeast Asia. It’s the kind of potential that saw Australia-based Treasury Wine Estates – brand owners of the likes of Penfolds, Wolf Blass, and Lindeman’s – set up a headquarters in Singapore over a decade ago to oversee its marketing and distribution to the rest of Southeast Asia. And they’re not alone; London-based wine merchants Corney & Barrow and Berry Brothers & Rudd both established their presence here in 2012 to grow their business in the region as well. 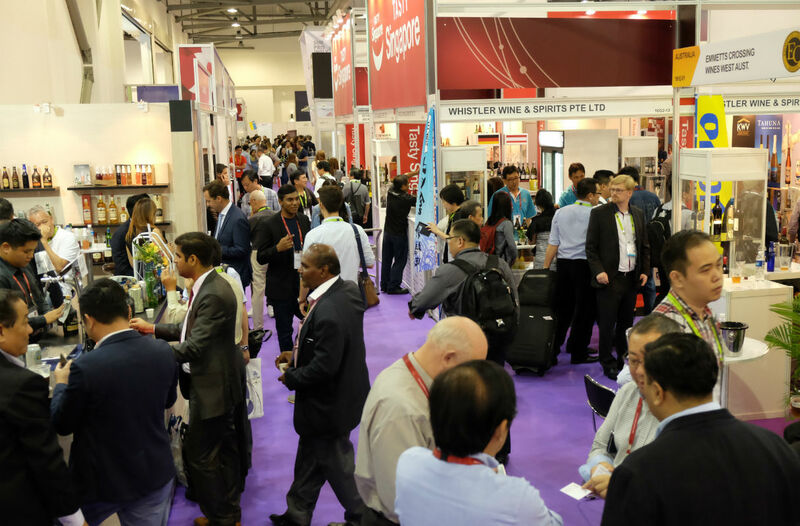 It’s the same reason that ProWein brought an Asia version of ProWine to Singapore in 2016; the inaugural edition attracted over 7,200 trade visitors from over 44 countries attend the show, a large proportion of them from around Southeast Asia. The recent 2018 edition saw a similarly successful response. Marius Berlemann, Global Head Wine & Spirits at Messe Dῡsseldorf Group and Director of ProWein, believes Prowine Asia has helped bring up the wine culture across Southeast Asia. “(There’s definitely) a growing interest in wine culture, in Southeast Asia and across Asia in general,” shared in a previous interview. “What’s unique about Asia is that people here are very open-minded about wine compared to other countries. This means that every wine grower has an opportunity to get market share in Asia,” he had also said. Caution in the midst of optimism. If all these numbers are making you want to jump into the wine business, halt your horses. Not every player in Singapore’s wine scene is totally optimistic about the burgeoning wine consumption numbers. Observers caution that GlobalData’s data may not take into account wines that are re-exported to the rest of the region. “The question is whether all (these numbers are) translating into on-premise sales,” points out Praelum’s Lu. “There’s a lot of stock coming into Singapore, but how much are really sold and consumed here?” he asks. Lu adds that he knows of many customers who come in from other countries like Myanmar, Vietnam, Laos, China and Korea – to get a lot of expensive wines, mostly because they feel that whatever they get in their own markets may not be authentic. That is, some of these sought-after, higher-end wines may be purchased, but not consumed, here. Singapore, a small and competitive wine landscape. Despite many wine exporters seeing Singapore as an emerging potential market, it’s also a very small, and very competitive, one. “The consumer base is relatively limited, and there are already many established importers, distributors, and retailers with impressive portfolios who have done very good work for a long time,” admits Seow of Raison Wines. While Le Vigne Wines’ Britton doesn’t disagree with GlobalData’s projection, she says much of the growth is likely to come from online wine merchants as well as Singaporeans and expatriates living here directly importing wine for their personal consumption. “Unfortunately Le Vigne hasn’t seen that much growth the past 12 months,” she shares. She knows too of a number of wine retail shops that have shuttered in recent months, citing poor business. Others have moved their business wholly online. Data from research agency Euromonitor International agrees with her assessment. It found that Internet retail continued to be the fastest growing off-trade channel for wine in Singapore in 2017. It also predicted the trend is likely to continue – specialty online wine retailers such as Vinomofo, or major online retailers like RedMart, are likely to appeal to an Internet-savvy consumer base seeking convenience. “Specialty wine bars like Praelum and WINE RVLT are able to hang around and linger because of our business models. Whether or not those numbers translate to people spending more or drinking more wine in restaurants remains to be seen,” Praelum’s Lu opines.